The pension has changed the way it calculates investment limits, with implications for fund commitments, secondaries, co-investments and SMAs. 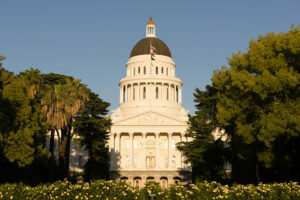 The California Public Employees’ Retirement System has approved a number of changes to its private equity investment policy, first outlined in June. At its 13 August investment committee meeting, the pension approved striking ‘direct investments’ from its list of investment categories. In a written evaluation of the revised policy document shared at the meeting, CalPERS’ pension consultant Meketa Investment Group said it understood “authority for direct investments will be considered at a later date”. In May the US’s largest public pension announced it was overhauling its private equity programme and creating a new arms-length entity – CalPERS Direct – to make direct investments. This entity will have its own investment staff and board and is slated to launch in the first half of 2019. At Monday’s meeting the CalPERS board also approved fusing the ‘top quartile’, ‘second quartile’ and ’emerging managers’ investment categories into a single ‘funds’ group. The managing investment director will be allowed to invest up to $500 million and the chief investment officer up to $1 billion in funds that fit in any of these categories. Under the previous policy, top-quartile investments had to account for a higher proportion than the other categories. “We have noted that, while important, quartile ranking of past performance is not fully indicative of the potential future performance of a private equity manager, particularly early in a fund’s life,” Meketa said of the policy. The CalPERS board also revised the way it calculates limits on how much can be invested by whom. Limits are now stated in dollars, not as a percentage of the total fund size. It is easier to interpret and eliminates the “moving target” aspect created by day-to-day fluctuations in fund size, the pension noted. The revised limits are comparable to what would have been allowed under the old policy based on total plan value of $356 billion. The pension has also upped its target exposure to buyout funds to 65 percent from 60 percent and reduced its private credit target to 10 percent from 15 percent, the documents noted. Chief investment officer Ted Eliopoulos announced in May that he will leave the fund by the turn of the year. It is aiming to have a new chief investment officer in place in September. For a detailed breakdown of the pension’s private equity portfolio, click here.